For pumping applications where noise levels must be kept to a minimum, Gorman-Rupp offers a sound-attenuated engine-driven pump unit. Lockable doors prevent unauthorized personnel from tampering with the pump, fuel, engine or controls during unattended service. Fuel capacity allows for a minimum of 24 hours of continuous operation. All units feature a lightweight, corrosion-resistant aluminum enclosure that is acoustically treated to maintain noise levels as low as 63 dBa while operating at full load. 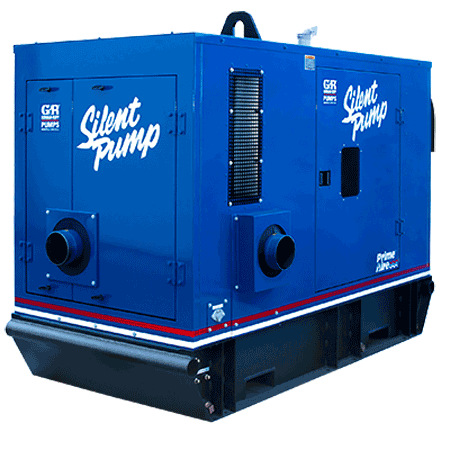 Our environmentally engineered Silent Pump units operate much quieter than current industry standards.